Detailing the physical features, habits, territorial reach and other identifying qualities of the Checkered Beetle. The Checkered Beetle isn't interested in playing games with insects that happen to harm trees and plants. A colorful banding pattern on the elytra (wing covering) helped to name this beetle. Checkered Beetles have a red head and thorax. The abdomen is multicolored: red near the head, and swollen bands of black and yellow toward the rear. Legs and segmented antennae are black. Adults are likely to be seen around flowers and weeds from late spring to early summer. Both life stages of this beetle are exceptionally good at eating insects like weevils, borer beetles and bark beetles. 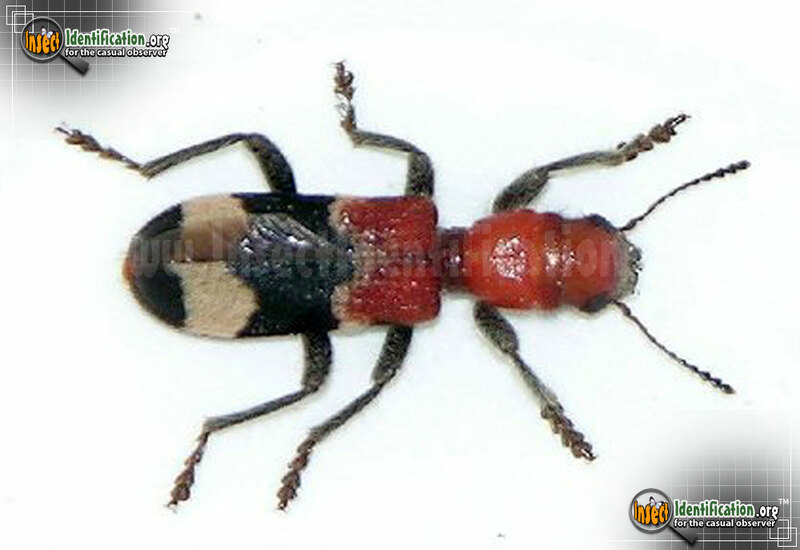 The adult Checkered Beetle feeds on various adults. They can be found resting on flowers, maybe even drinking the nectar while they are there. The Checkered Beetle larvae may be immature, but they are still effective predators. They follow the paths and tunnels of wood-borer and bark beetle larvae until they reach the larvae. Checkered Beetle larvae eat them while they are still inside the tree trunk, ending the internal damage done to the tree.